SHORE EXCURSIONS FROM THE PORT OF NAPLES, SORRENTO AND SALERNO TO ALL DESTINATIONS IN CAMPANIA REGION. The English speaking guide will be waiting for you by the dockside in Naples, Salerno or Sorrento, or other ports under your request to start your shore excursion with a personal attention to every details or you could meet him at the main entrance of the archaeological sites. Pompeii ruins entrance fees: € 11,00 (full price); € 5,50 (reduced price 18-25 years of age); Free entrance for less than 18 years of age. 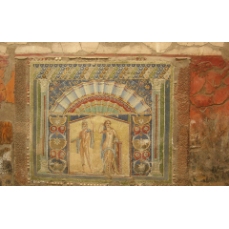 Herculaneum € 11.00 / h. 8.30 - 18.00. 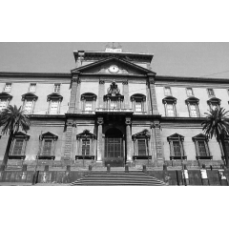 Archaeological Museum of Naples € 8 / Tuesday closed. Paestum € 6.50 / h. 9.30 - 17.00. Why do not you share the expenses and arrange with other cruise passengers (6 or 8 at most) an exclusive tour in the Gulf of Naples with a comfortable Mercedes vehicle, private driver and tour guide? We have organized for you a Pompeii tour. Contact us by e-mail info@visitpompeii.it for further info. Included 2 hours private guided tour inside the ruins. Description.This tour gives you the opportunity to go by bus from Naples or by train (Circumvesuviana) from Sorrento to Pompeii in only 20 minutes and to schedule your day in different ways visiting later by your self either Sorrento or Naples or Herculaneum, under the personalized supervision of your guide, who will finish his tour in Pompeii. Highlights: visit this wonderful archaeological city which was buried by lava and mud following the eruption of Vesuvius in 79 AD. The town is at the top of the list of the Wonders of the World and the excavations begun in the 18th Century are still being carried out today. Your guide will take you at a leisurely pace through some of the ancient streets of Pompeii where you can see Baths, Forums and Villas built by the prosperous Romans in the year 80 B.C. 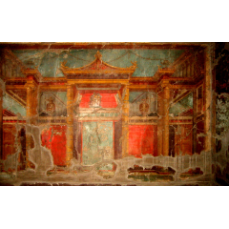 Marvel at the fabulously preserved Frescos which adorned the walls and floors of the Villas. Highlights : the Amalfi coast is one of the most beautiful coastlines in the world which has given inspiration to many artists, poets and writers for centuries. This tour includes a visit to Positano with its Moorish style architecture and famous fashionable shops, the maritime republic of Amalfi with thelovely cathedral of Sant’Andrea and the elegant resort of Ravello. Here you can have a delicious lunch with typical local dishes at a restaurant with stunning panoramic views and also visit the spectacular thirteenth-century Villa Rufolo. 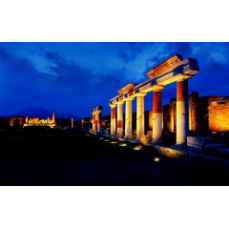 Later you will reach ancient Pompeii considered the only archaeological site that gives a true picture of an ancient Roman city and together with an expert local guide there will be a 2 hours walking tour of ancient Pompeii. Highlights: Your guide will meet you at the port of Naples. Hydrofoil from Naples to Capri, journey time approximately 50 minutes. On arrival at Capri (Marina Grande) we reach Anacapri by private bus to visit the small village situated 400 metres above sea level, where there are the Villa San Michele of Dr Axel Munthe and the church of San Michele which isfamous for the floor made of majolica pottery (entrance fee not included). Free time in Anacapri for lunch , and later we'll go to Capri centre walking to the "Gardens of Augustus," from where you can admire the famous "Faraglioni" and the Marina Piccola, last residence of Grace Fields. There will also be free time for "shopping" next to the famous "Piazzetta", the elegant and prestigious symbol of Capri. We’ll finish the afternoon going back to the port by the funicular. Description: Visit these wonderful archaeological villages which were buried by lava and mud following the eruption of Vesuvius in 79 AD. The towns are high on the list of the Wonders of the World and the excavations begun in the 18th Century are still being carried out today. The guide will take you slowly through some of the ancient streets of Pompeii where you can see Baths, Forums and Villas built by the prosperous Romans in the year 80 B.C. 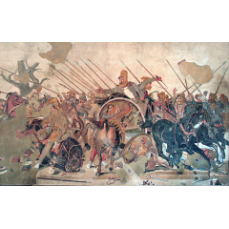 Marvel at the fabulously preserved Frescos which adorned the walls and floors of the Villas. 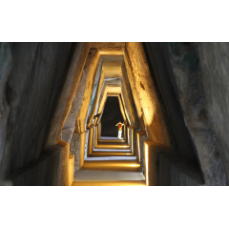 Included: Private Guided Tours inside the ruins + full day tickets for Pompeii and Herculaneum excavations. Paestum and Buffalo Mozzarella cheese Factory. 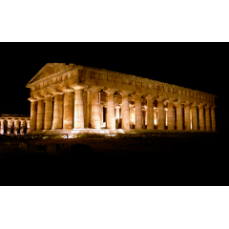 Visit at the Greek Archaeological site of Paestum plus Museum, to admire the amazing temples. A 2/half hours visit is required. Usually for this kind of Tour it is combined the visit at a local Buffalo Mozzarella Cheese Factory (the best one) where the guests will have a demonstration of Mozzarella production, see the water Indian buffalos, a stroll around the estate and stables. (internal guide available). The Tour will end with a Mozzarella, Yogurt and Gelato Tasting all made with Buffalo Milk. If you would like to have lunch, very pleased to take you to a local restaurant. Reductions: for EU citizens aged 18-24 and EU permanent school teachers. /Reductions and free tickets can be issued only by showing a valid document (passport, identity card, driving license).